A fully featured & well designed template that works perfectly on all devices. Get a top notch theme for your event website thoughtfully crafted by event professionals. 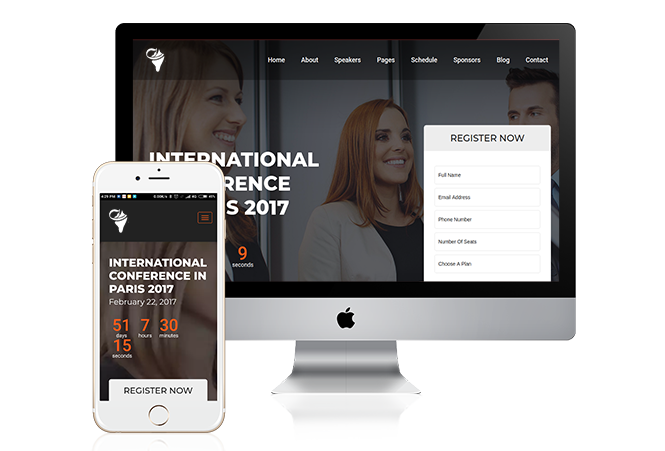 Customize and add details to your website template as suited to your event and get the feel of an event website designed just for you. Are you interested in Event Website?